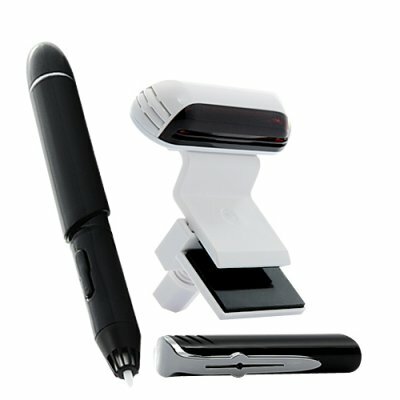 Successfully Added Magic Stick - Touchscreen Creator Pen (Windows OS) to your Shopping Cart. Easily add touchscreen functionality to your monitor/laptop screen with the power of the Magic Stick Touchscreen Creator Pen. Can you insert a CD into the CD-ROM drive? Then you're half way to turning your normal monitor into an amazing touchscreen gadget. Just install the included drivers on the CD, connect the sensors via USB, and this Magic Stick is ready to go! Use it for clicking, dragging, writing, highlighting, and much more. The increase in speed and convenience is not only great for increasing productivity, but imagine the fun and creativity offered when playing games and drawing/illustrating on the screen! Even the smallest touchscreen monitors will run you hundreds of dollars, but why throw away your money when you can receive the same functionality for cheaper and easier? This amazing high-tech gadget is now offered at an amazing wholesale price, and it’s in stock for immediate shipment. Order your sample today because only by trying it out yourself can you truly appreciate how cool it is. Brought to you by your source for China factory direct electronics – Chinavasion. Don't waste hundreds on a touchscreen monitor, buy this!